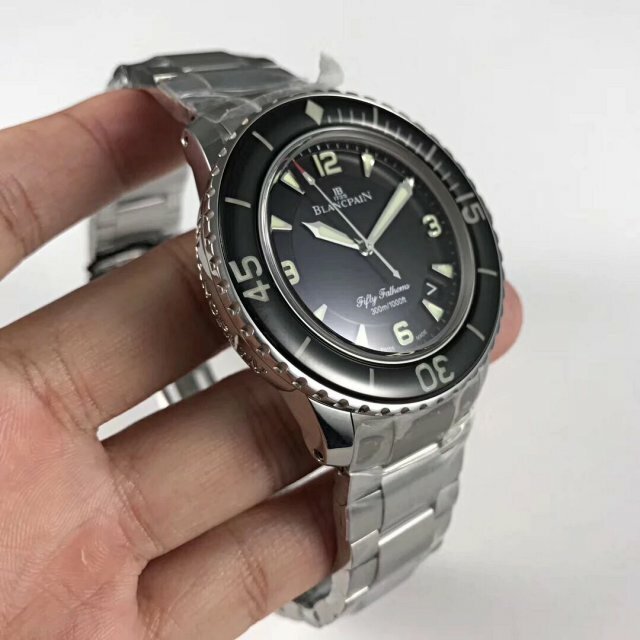 You will think of Rolex Submariner when people mentioned diver’s watch, yes, we all have to admit Submariner is the best selling diver’s watch in the world, but there are certainly amazing diving models from other brands such as Panerai Submersible, Breitling Superocean, Cartier Calibre Diver, etc. 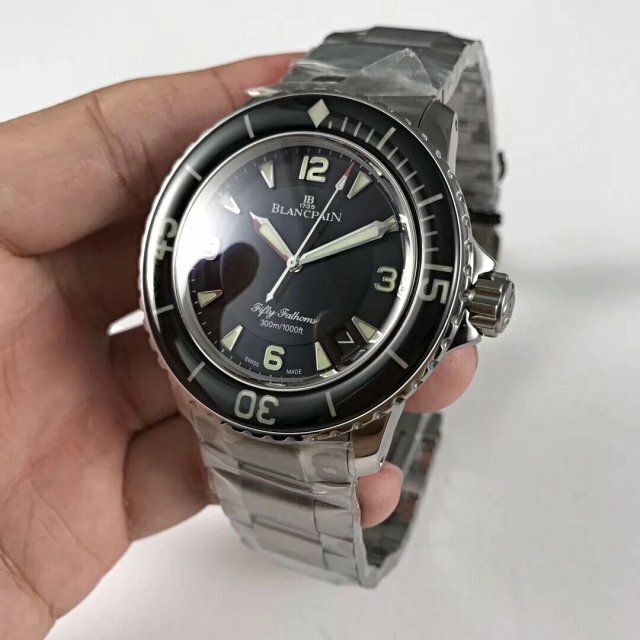 Here I must recommend another good diver’s watch to you guys, it is from Blancpain – the Bathyscaphe 5000-0130. 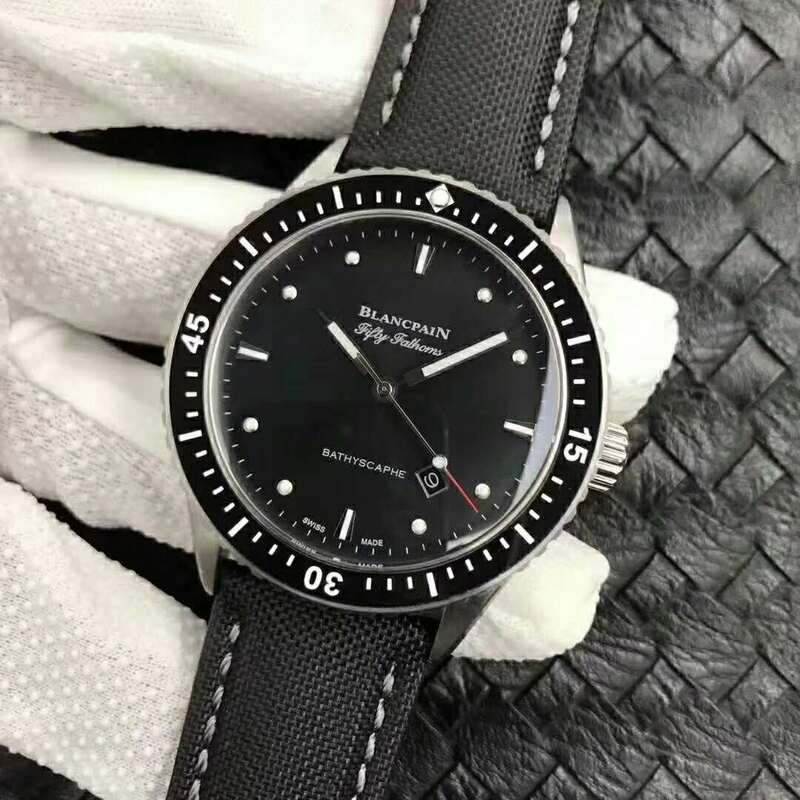 This watch belongs to famous Fifty Fathoms series of Blancpain, you know, Fifty Fathoms is a famous diving watch series of Blancpain and if you guys have read my review about this watch made by Noob factory, you will know it is a perfect diving watch, a lot of watch fans were pursuing the Blancpain Fifty Fathoms replica watch from Noob, and it has always been a hot discussion topic in every replica watch forum. 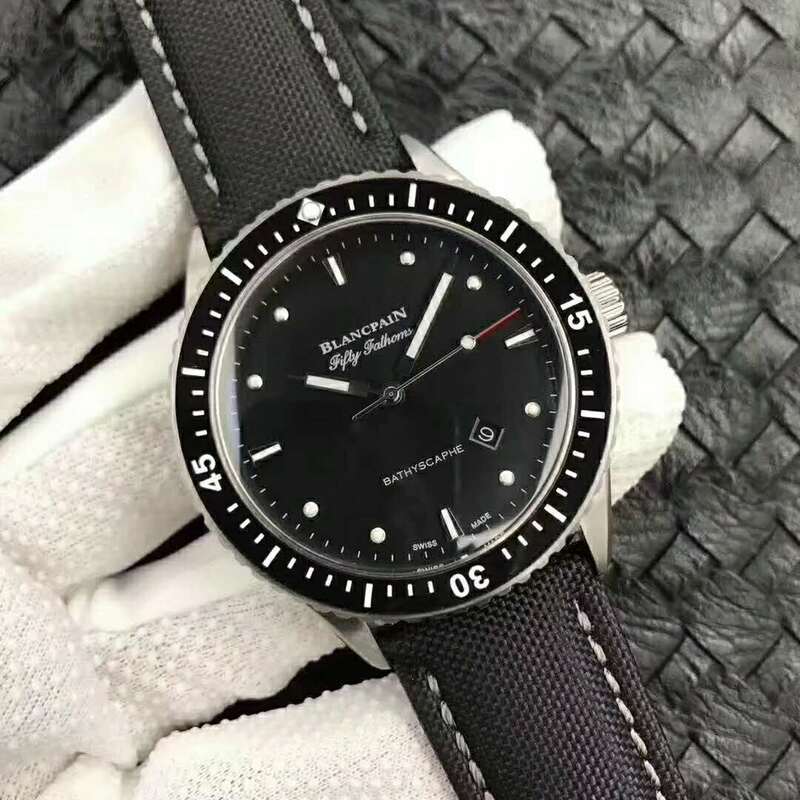 The replica will be discussed today is not made by Noob, it is from another good factory that manufactures moderate quality Blancpain and Bell & Ross replica watches. 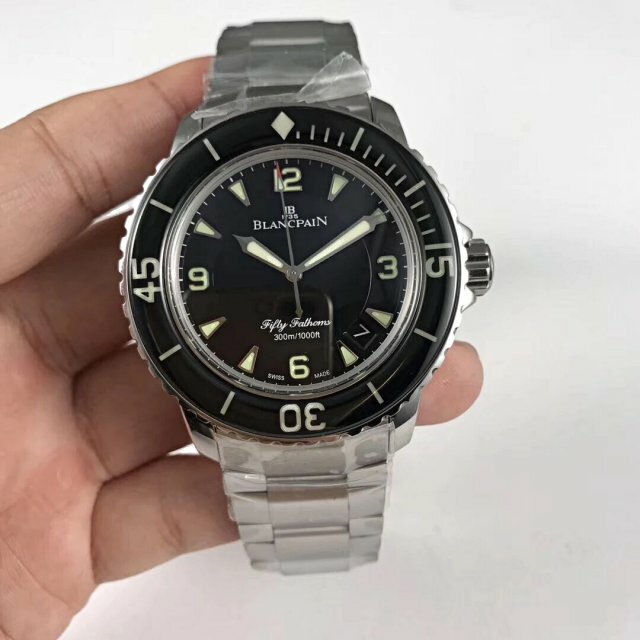 This Blancpain Bathyscaphe replica is already in top quality, but I think Noob will replicate this watch because there are still a lot of watch fans who are waiting for the best replica of it. 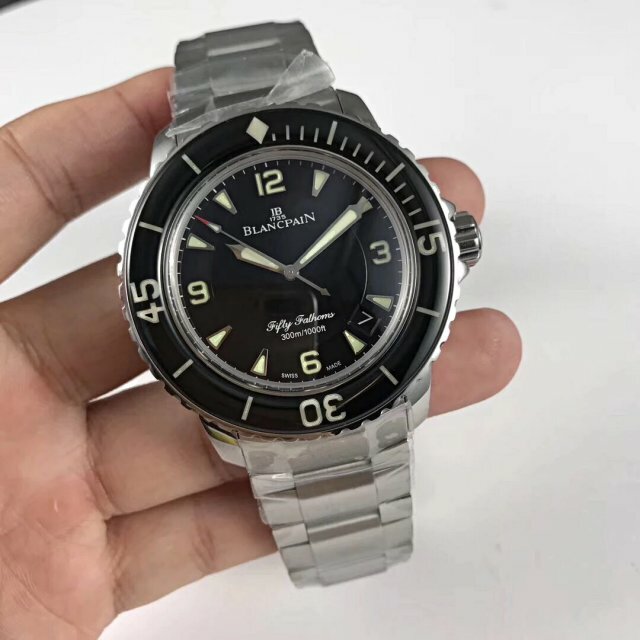 The Blancpain Bathyscaphe has all features of diving watch but its unique design makes it stands out among all of them. 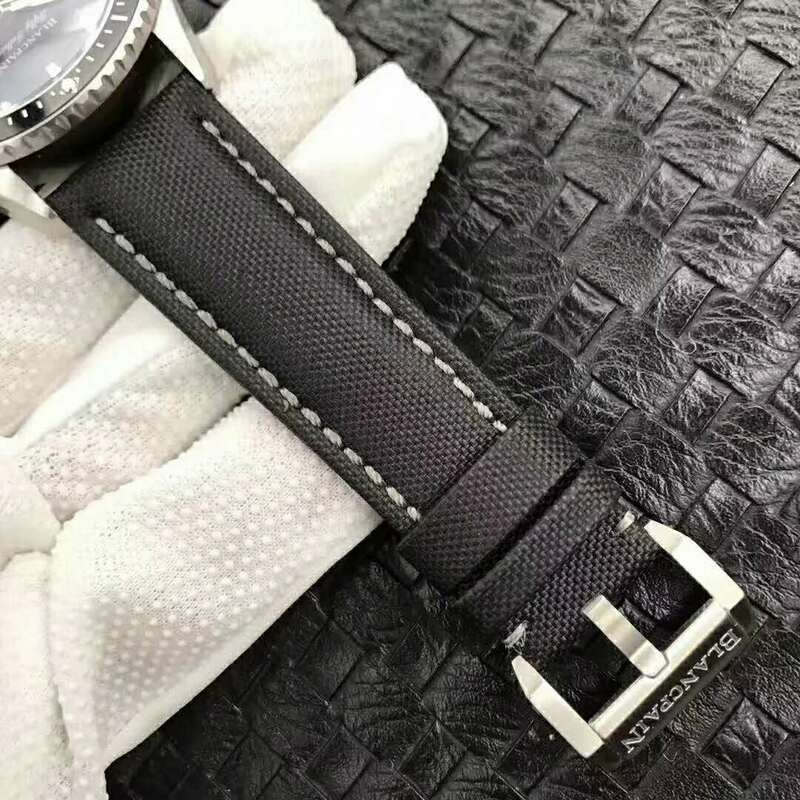 The case is made of 316L stainless steel, not ceramic, but the surface is black pvd plated, satin-finished case makes the watch full of fashion sense. 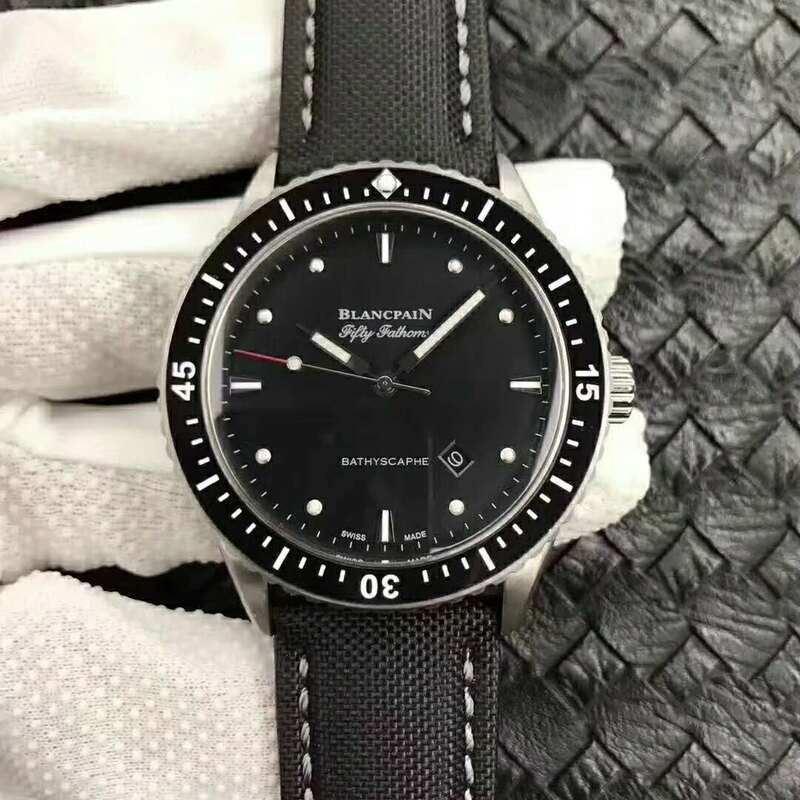 The bezel is uni-directional rotating with white diving markers, crown features delicated gear patterns and has a Blancpain Logo on top. 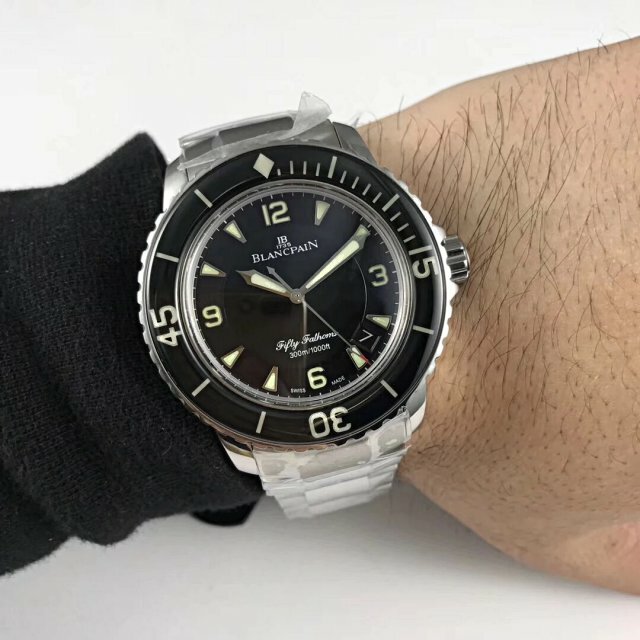 The dial is black, it is a classic diver’s dial but simple. 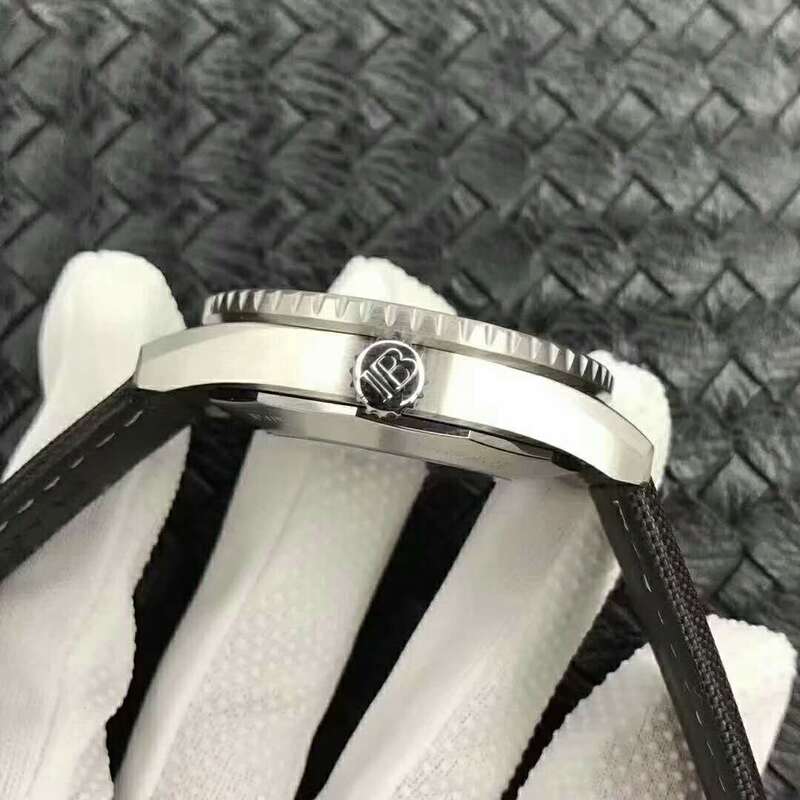 For good readability, central second hand has a red end, all hour markers and hands are applied Swiss lume material. 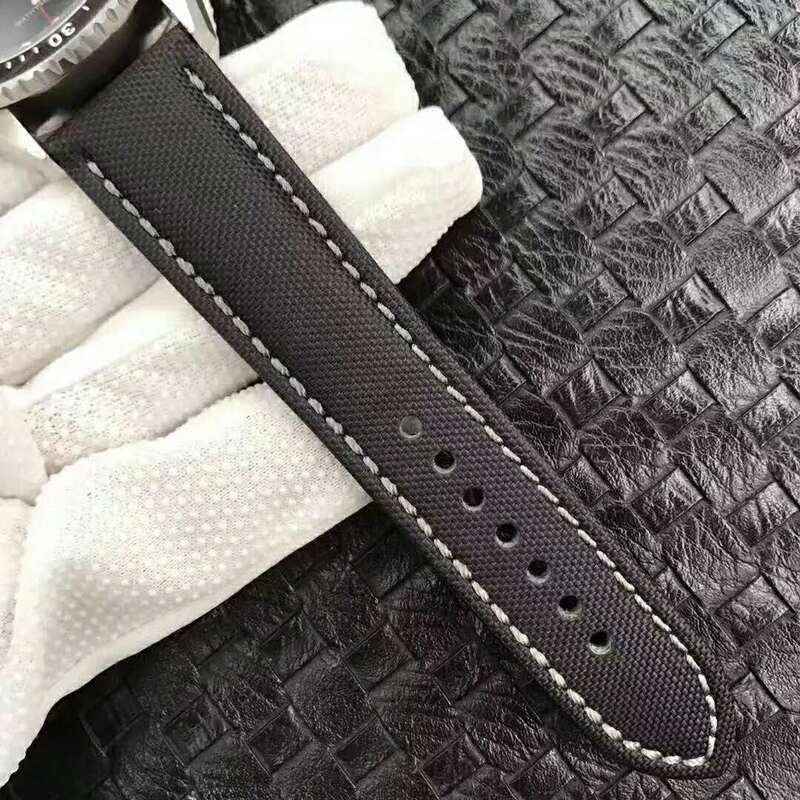 There is a small date window at 4:30, date font is white in black background. 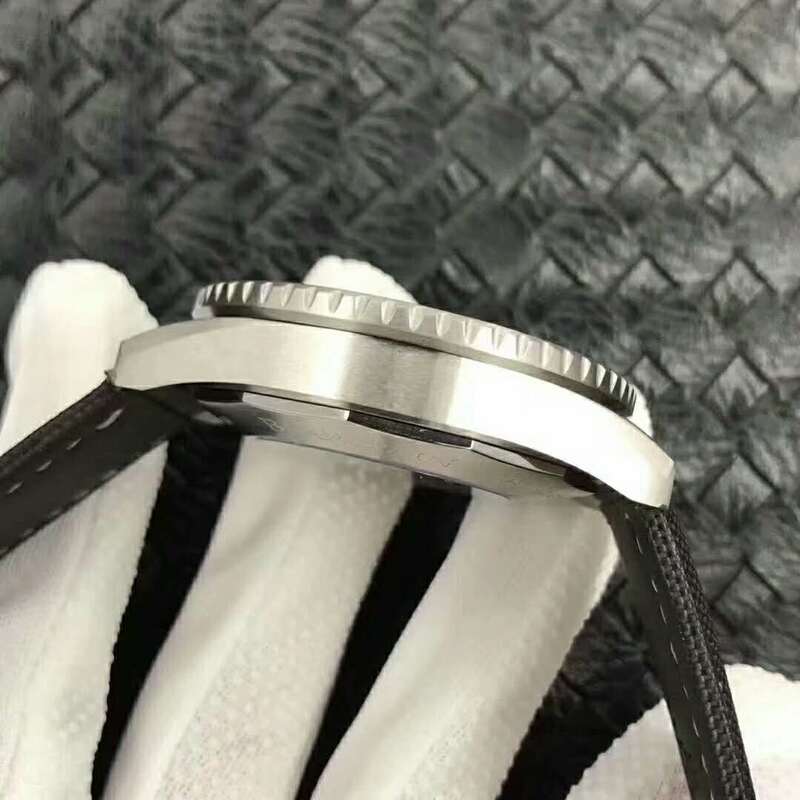 43mm case diameter makes the dial look so big, it seems like all diving watches have this feature. 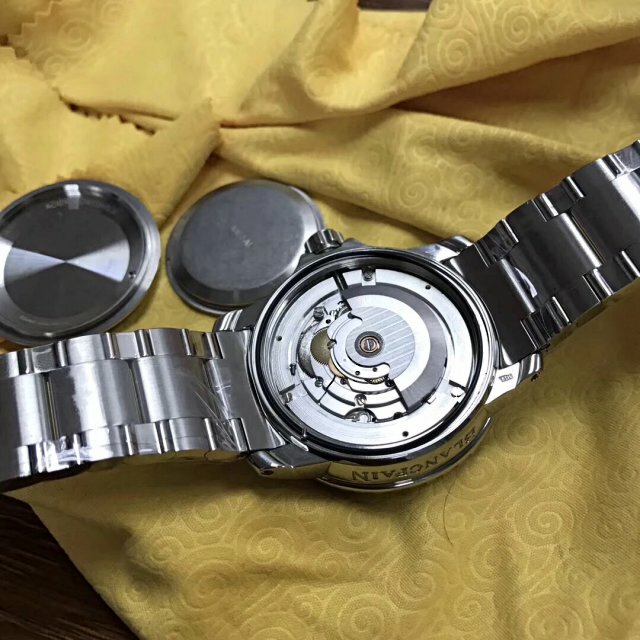 The replica has a sapphire crystal on front and back, where you can see the movement working inside. 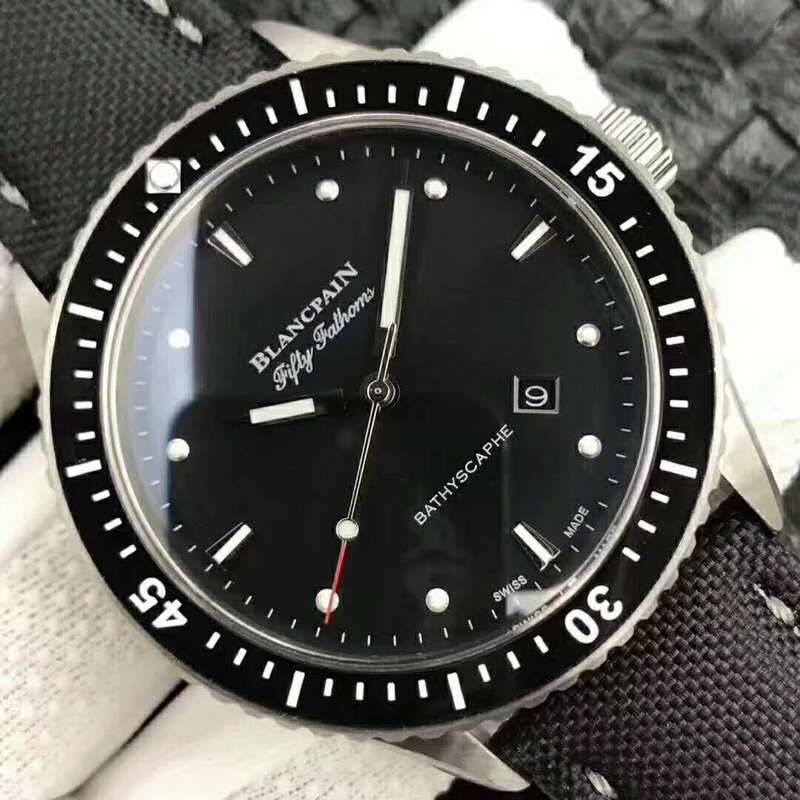 It is a clone Blancpain 1735 that is on basis of a Chinese automatic movement. 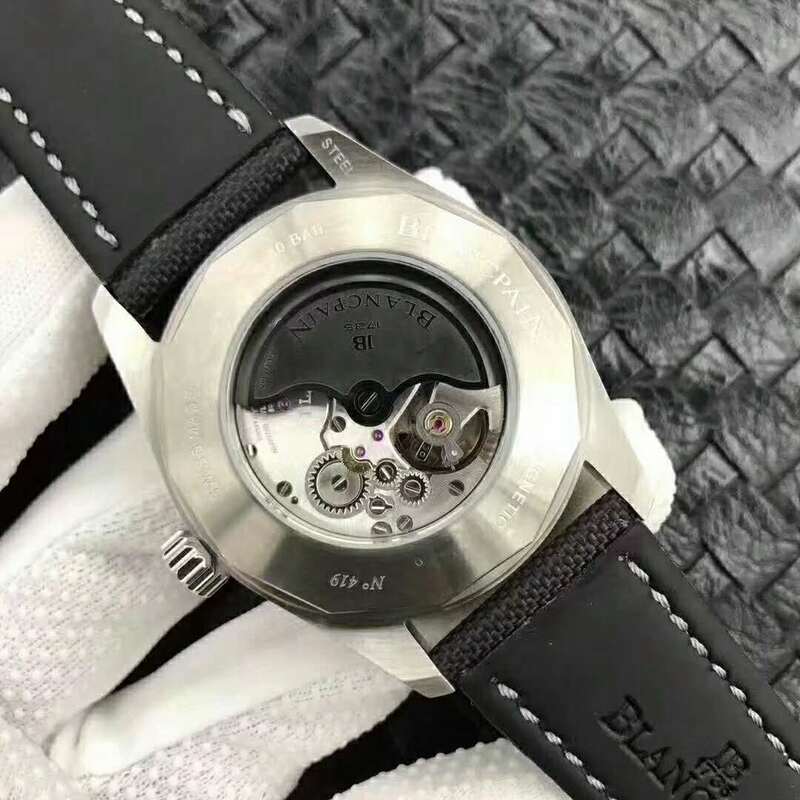 The movement has no modification except the blackened auto rotor and correct engravings on plates. 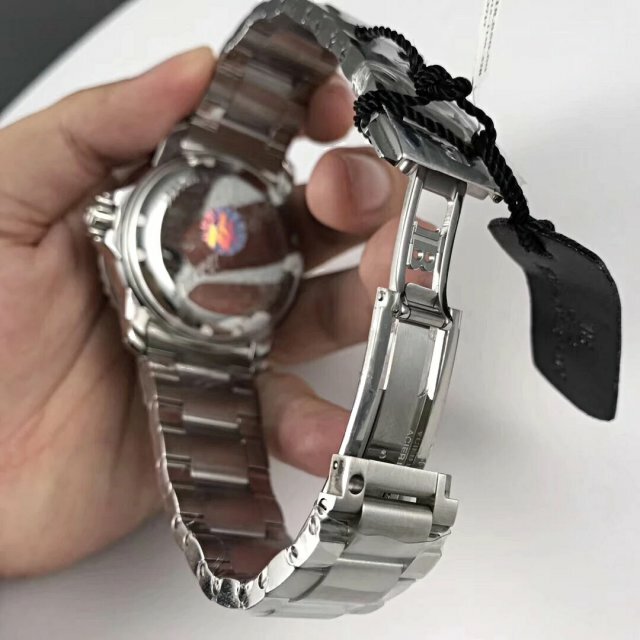 So, it will be more reliable and stable. 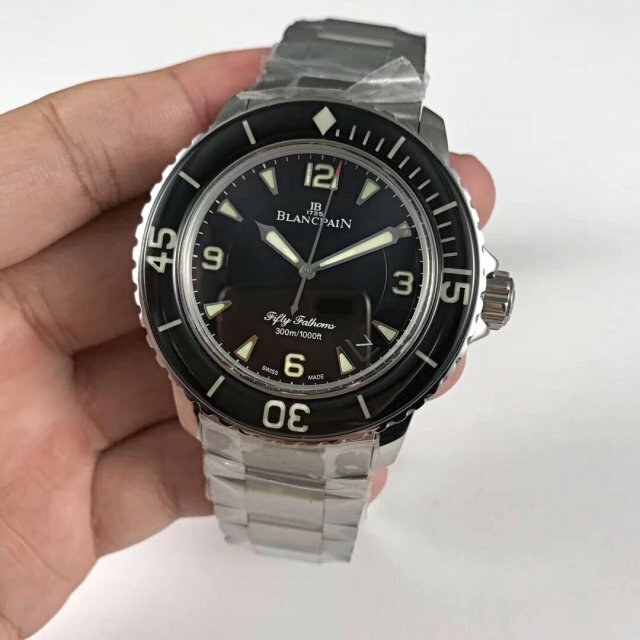 The band on this Blancpain Bathyscaphe replica watch is made of nylon, while the inner side is black leather with Blancpain logo and lettering. 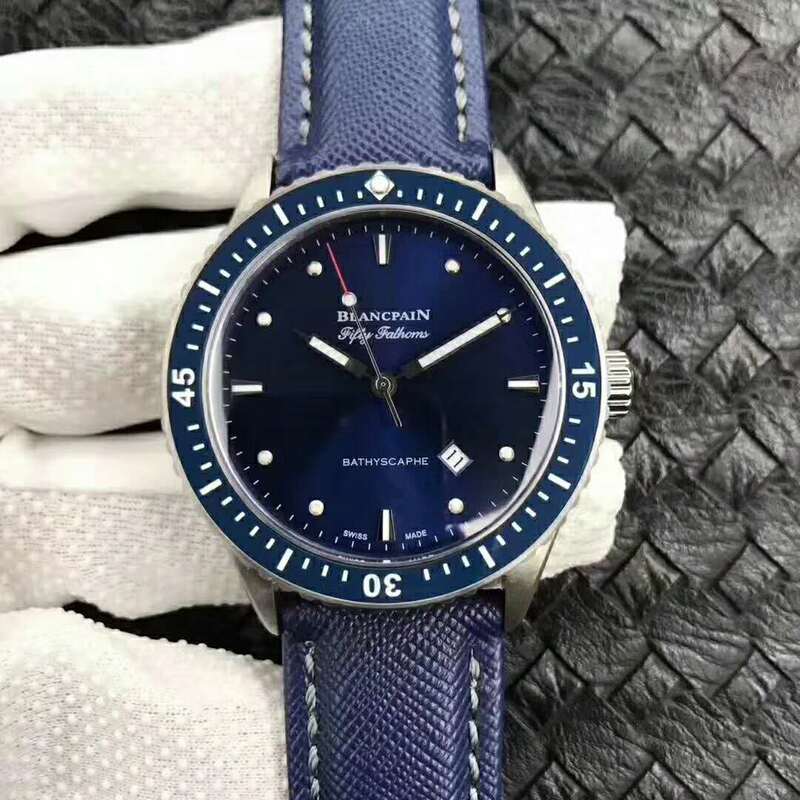 By the way, this replica Blancpain watch comes with two colors, the other is in blue.